Home Uncategorized Water, That we are Drinking is killing us slowly and inevitably? Water is so simple and so basic that it is easy to overlook when you consider the factors that determine health or illness. Yet it is often the simplest factors that can make the biggest differences. Water is the very foundation for life. It makes up about 75% of your body. Water cannot be overlooked if you intend to experience vibrant health. Water is the basis for all your body fluids including blood, lymph, and digestive fluids. It is critical for the transportation and absorption of nutrients as well as for the elimination of waste. Water also regulates body temperature, it lubricates joints, it cushions organs, and it moistens tissues. These are the most obvious functions of water. But water is critical at many other levels. It is involved in the transmission of signals throughout your body. When the amount or the quality of the water you drink is compromised, signals can become distorted or short circuited. Water also supports the helical spiral of the DNA. Research indicates that the way water molecules are organized around DNA is an indication of aging and disease. Water is the largest single source of energy in the human body. Its movement, into and out of cells, produces a significant amount of energy that’s why one of the first symptoms of dehydration is often fatigue. Before start this subject, we have to understand the Critical Importance of water in your Body ? Water – Why is it so Great? Water is ranked second only to oxygen as essential for life. You can survive without food for weeks but you cannot live without water even for a few days. Your body is, on an average, 75% water. The water content of the parts of the body, approximately, is as follows: brain 85%, blood 82%, lungs 79%, muscles 75%, bones 22%, liver 90%, cells 85%, kidney 83%, heart 79,%, intestine 75%, skin 72%, and spleen 76%. A mere 2% drop in your body’s water supply can trigger signs of dehydration. The symptoms of dehydration are fatigue, fuzzy short-term memory, trouble with basic math and difficulty focusing on small print. Day time fatigue may be attributed to mild dehydration. One of the ways to find out whether your body is dehydrated or not, is to observe the colour of your urine. If it is dark yellow, it is a symptom of dehydration. The urine is light yellow or whitish in colour when the body is sufficiently hydrated. Constipation is the conspicuous phenomenon of dehydration. The secretion of different types of enzymes slows down. Digestive disorders take place due to reduction in the secretion of digestive juices. 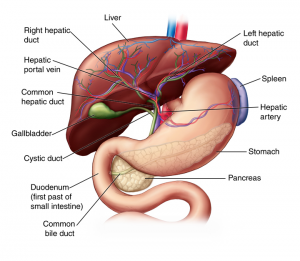 For detoxification, the liver, kidneys and bladder require lot of water. Due to dehydration, the functioning of these organs are affected. While breathing, a large amount of water is lost. The overall dehydration in the body results in respiratory problems. 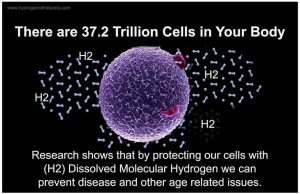 Dehydration will result in cellular water loss. The body produces more cholesterol to compensate the water loss. When thirst is confused with hunger, one tends to eat more which results in weight gain. One of the largest detoxification pathways of the human body is the skin. When dehydration sets in, the movement of toxins through the skin is restricted which may lead to skin diseases. As we advance in age the amount of water in our body gets reduced. When dehydration takes place, the aging process is accelerated by producing a visible wrinkling and withering effect. A small study conducted on 25 women and published in the Journal of Nutrition found that even mild dehydration can take a toll on your mood and ability to think. Water travels throughout your body carrying nutrients, oxygen and wastes in the form of toxins. An ample amount of water in the body also helps regulate body temperature. The thermal properties of water and its ability to release heat from the body when sweat evaporates from the surface of the skin greatly helps maintain an even body temperature. A well-regulated body temperature makes you feel more energetic. Water protects your tissues and organs from shock and damage and also cushions your joints. It acts as a lubricant for your joints, mouth and digestive system in saliva, and in your nose, throat, eyes and stomach as part of mucus. Digestion and absorption of food is facilitated by water. It also removes wastes from your body. When the body gets enough water, your skin feels moisturized and it looks fresh, soft, glowing and smooth. Bad breath is a clear sign that you may not be drinking sufficient water. It keeps your mouth moist and washes away food particles and bacteria. It also dilutes the smelly compounds that oral bacteria create. So, drink sufficient water and also rinse your mouth with water, especially after having a meal or snack to control bad odor and remove bacteria and food debris stuck between your teeth and gum line. It also helps you maintain a healthy weight. Everyday your body loses 8-12 cups of water through sweat, urination, stools, and evaporation through your skin and lungs. Your body loses more water when you exercise, live in hot or low humidity environments, consume high fiber diets, and drink beverages containing caffeine or alcohol. It is important to drink at least 10 to 12 cups of water a day for a healthy body and to avoid heat stroke or exhaustion. Whenever you feel tension headaches and dizziness coming on, don’t rush for the pills straight away. Your headache could be a symptom of being dehydrated. You can obtain relief by simply drinking water. Water also improves the functioning of the gastrointestinal tract. This helps in digestion and prevents constipation. Inadequate water in the body often results in constipation as colon pulls water from the stools to maintain hydration, thereby making them harder and difficult to pass. Drinking sufficient water boosts your metabolism and helps the body break down food. This helps your digestive system work well and promotes regular bowel movements. Water is important to the mechanics of the human body. The body cannot work without it, just as a car cannot run without gas and oil. All the organs, composed of trillions of cells in our anatomy and physiology depend on water for their functioning. Water is one of the detoxification agents. It helps to alleviate constipation by moving food through the intestinal track and thereby eliminating waste. Apart from regulating the metabolism of the body, water also plays a key role in the prevention of diseases. A daily intake of ten glasses of water can decrease the risk of colon cancer by 45%, bladder cancer by 50% and it can potentially reduce the risk of breast cancer. Your body doesn’t get water only from drinking water. Any fluid you drink will contain water, but water and milk are the best choices. Calorie-free water is also a great replacement for high- calorie drinks like alcohol, sugary fizzy drinks and sodas that often contribute to weight gain. Water also promotes kidney function and reduces the formation of kidney stones by diluting the salts and minerals in urine that cause kidney stones. As the amount of water required by the body tends to differ from one person to another, it is usually suggested to drink to your thirst, and also include other fluids and foods with high water content in your diet. Water serves as a lubricant in digestion and almost all other body processes. The water in our saliva helps facilitate chewing and swallowing, ensuring that food will slide easily down the esophagus. Water carries nutrients and oxygen throughout the body. 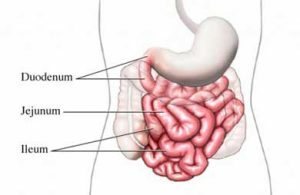 Nutrients from the food we eat are broken down in the digestive system where they become water- soluble, which means they are dissolved in water. Water allows these nutrients to pass through the capillaries within the intestinal walls to the blood and circulatory system where the valuable nutrients and oxygen can be distributed throughout the body to all the cells and organs. Since water is such an important component to our physiology, it would make sense that the quality of the water should be just as important as the quantity. Drinking water should always be clean and free from contaminants to ensure proper health and wellness. As we all know that tap and well water are not safe for drinking due to heavy industrial and environmental pollution. Toxic bacteria, chemicals and heavy metals routinely penetrate and pollute our natural water sources making people sick I while exposing them tolong term health consequences such as liver damage, cancer and other serious conditions. We have reached the point where all sources of drinking water, including municipal water systems, wells, lakes, rivers and even glaciers, contain some level of contamination. Even some brands of bottled water have been found to contain high levels of contaminants. Many people love to drink a can of soda instead of plain water. The sugar in soda is around 9 teaspoons and makes you put on weight. Further, that much sugar can impede the function of the immune system for at least 12 hours. What about drinking diet cola? Many studies have found that the artificial sweeteners in the diet cola are linked to brain tumors. Caffeine consumption can cause dehydration. The above-mentioned beverages, in the long run, would devastate your body due to mineral depletion. Acids, sugars, and artificial flavors and sweeteners actually shorten your life. There is enough acid in a can of soda to kill you, if your body did not contain mechanisms to neutralize it. But, that means our body’s precious minerals, such as calcium, potassium, are being used for neutralizing the bad effect of drinking soda. Did you know that it takes 32 glasses of water to neutralize the acid from one 12 oz. cola or soda. People on a high protein diet, like consuming meat, require more water, as the water will flush out things like uric acid. Another risk of high protein diets that can be combated with water is that, if you are not eating carbohydrates, your body breaks down fat cells and then produces a build-up of toxic chemical compound, called ketenes in your blood. When there are too many ketenes in your blood, your body eliminates them in your urine. 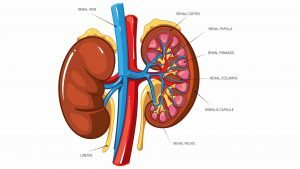 Eliminating too many ketenes, and also losing too much water through urine, should be compensated by drinking more water, otherwise dehydration may set in. Water is required for every function in the human body. Since you have to consume sufficient amount of water every day, you must get the best water possible. Water is not just H²O. Isn’t bottled water just purified water? Not all water is the same, and bottled water may not be as healthy as you think it is. The media has been filled with reports about what bottled water contains, but rarely mentions the pH or ORP. know that the + numbers for ORP mean that the liquid is oxidizing, and negative – numbers means that it is an anti-oxidant. pH is neutral at 7.0, acidic below that, and alkaline above that. All the above referred elements of the body contain water. Therefore, it is possible to measure in terms of pH value. 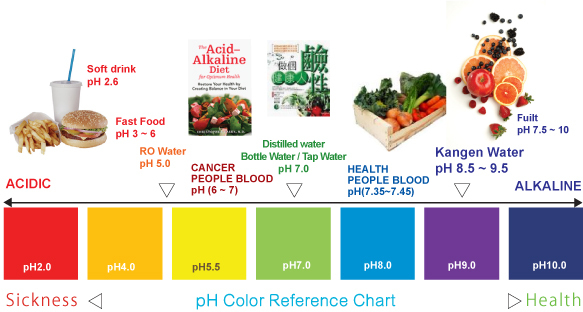 Depending upon the type of food we eat and the water we drink the pH value varies. 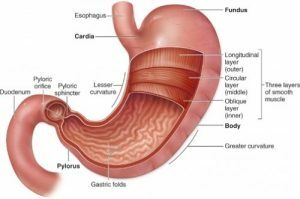 Only the gastric secretion is too acidic as it is intended to digest food and drink. With wrong food and drink, in addition to wrong thinking and feeling, the body becomes more acidic which results in a variety of diseases. Note: pH and ORP readings vary from sample to sample. Tap water is not always neutral (7.03 and can vary from location to location. Ionized, alkaline water reading is based on water from Southern California, and will vary with the quality of the source water. For instance, it has been measured as high as -700 in Utah, and as low as -250 in Oregon. Prices vary from location to location. In addition to acidity and alkalinity, pH also refers to voltage, but the scale in this case ranges from -400 to +400 millivolts, with 0 (zero) in the middle. Moving down the scale from 0 into the negative range indicates increasing levels of health, while moving up the scale into the positive range indicates increasing dysfunction. Healthy adults normally measure -20 millivolts (mV) of energy, which trans- lates to a pH of 7.35. Children, young adults, and athletes commonly measure -30 mV of energy. Problems occur when a body’s voltage drops below the necessary operating level of -20 mV. Thus at -15 mV, a person is tired. At -10 mV, he/she is sick. At -5 mV organs are no longer able to function properly. Problems resulting from continued drops in voltage include chronic pain, a decrease in oxygen levels, and infections. (Note: Infections continue to increase damage by feeding on healthy cells.) Remember, moving up this scale into the positive range increases vulnerability to illness. At +30 mV, the cellular electrical system malfunctions, reversing cellular polarity (the way electricity is conducted through cells). Damage also occurs to DNA, and cancer is able to gain a foothold in the body and grow. At the current levels of contamination, the public is starting to question the quality of tap water and wonders if it is safe enough to drink. Based on these facts, it’s no wonder that the demand for Electrolyzed reduced water is constantly increasing. Reverse Osmosis is a filtering process which may be effective in areas that do not receive municipally treated water and is commonly used in bottled water facilities. The problem with this process is that dangerous chemicals like pesticides, herbicides, and chlorine are molecularly smaller than water and can pass freely through the filter. Reverse osmosis removes healthy, naturally occurring water minerals. These minerals not only provide good taste; they also serve a vital function in the body’s system. When stripped of these minerals, water can be unhealthy. Also, 2-3 gallons of water are wasted for every gallon of purified water produced. of proper oxygenation and degeneration of the heart follows. 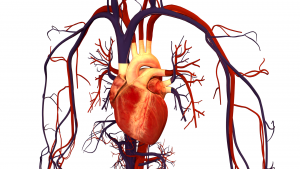 An alkaline system creates an ideal heart function. the foods become too acidic. are constantly floating in the blood. 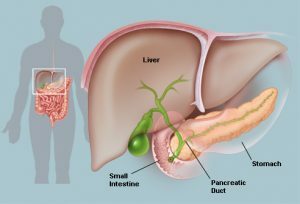 If the liver becomes too congested with protein acid wastes, death is imminent. regulate blood sugar balance. To have proper blood sugar balance, you must maintain a primarily alkaline-forming diet. Patches, which lessens the production of chyle. that you can avoid this painful condition. 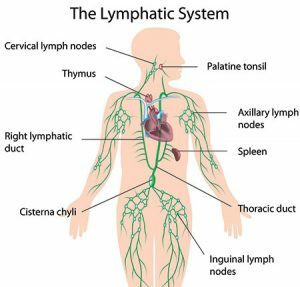 There are 600-700 lymph glands in the body. 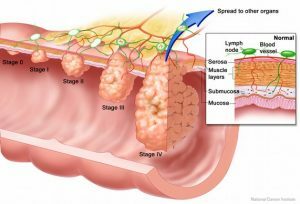 Lymph fluid carries nutrition to the cells and removes acid waste products. adhesions throughout the tissues. These adhesions can interfere not only with lymph fluid but with blood flow as well. “Long-term drinking of chlorinated water appears to increase a person’s risk of developing bladder cancer as much as 80%,” according to a study published in the Journal of the National Cancer Institute. Some 45,000 Americans are diagnosed every year with bladder cancer. 1. Kemmer, Frank N. Water: The Universal Solvent. Nalco Chemical Company, 1979. 2. Stavy, Ruth. “Children’s conception of changes in the state of matter: From liquid (or solid) to gas.” Journal of Research in Science Teaching 27.3 (1990): 247-266. 3. Chatterjea, M. N. Textbook of medical biochemistry. JP Medical Ltd, 2011. 4. Lodish, Harvey. Molecular cell biology. Macmillan, 2008. 5. Margenau, Henry, and Roy Abraham Varghese, eds. Cosmos, Bios, Theos: Scientists Reflect on Science, God and the Origins of the Universe, Life, and Homo Sapiens. Open Court Publishing, 1992. 6. Shaw, Marc, and Peter A. Leggat. “Life and death on the Amazon: illness and injury to travelers on a South American expedition.” Journal of travel medicine 10.5 (2003): 268-271. 7. Lissauer, Jack J. “How common are habitable planets?.” Nature 402 (1999): C11-C14.